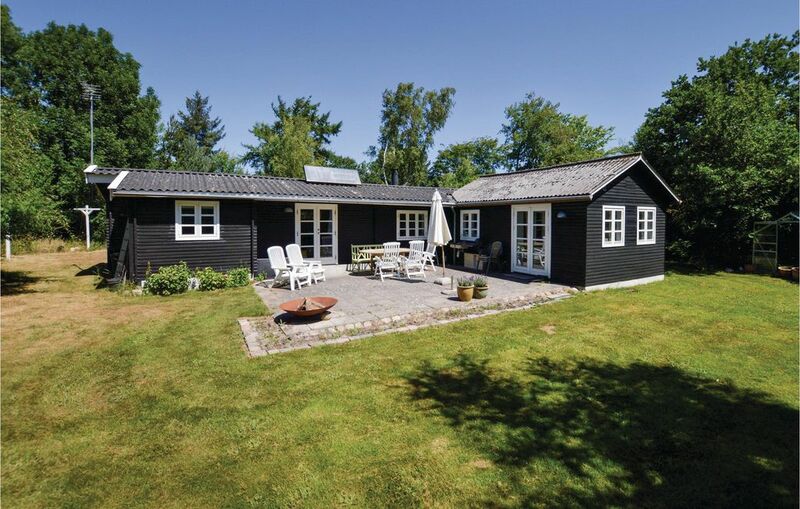 This classic NOVASOL-House is located close to one of the best sandy beaches in Denmark, which is also very child friendly and surrounded by beautiful dunes. It has a large kitchen, a bathroom with a shower and a washing machine, a living room with a fireplace and access to a nice open terrace. In addition there is an inviting annexe with an additional sleeping area and a guest toilet. The entire property is fenced. Behind the house runs a small, idyllic stream. You can visit the art museum or play golf or tennis. You can also go fishing in one of the excellent fishing grounds along the coast. Go on a trip on foot or by bike and enjoy the beautiful, untouched nature of the region. The ubiquitous sea dominates the region. In Odden, Nykøbing Sj. and Rørvig you will find several small fishing harbours and marinas. It is a special experience to arrive by boat and to dock almost directly in the city centre. The many beaches in the area have excellent water quality as attested by the Blue Flag. There are several nature reserves in and around Rørvig. You will also find the idyllic lake of Dybesø here. Especially the birdlife of the peninsula is very special. You can take long walks or bike rides through the dunes, woods and open fields and enjoy the fresh sea air. If you miss the vibrant life of a metropolis, you can easily pay a visit to the Danish capital of Copenhagen by car. The city offers unlimited entertainment, shopping and the legendary Tivoli. Vieux chalet rénové. Emplacement idéal pour alterner balades sur la plage (à pieds depuis le gîtes) et visites.